50 years after the main story takes place, a man is shown conducting a chorus. While conducting, he is informed that his mother has died. After the performance, he returns home for the funeral. Soon, an old friend called Pépinot arrives at his door with a diary. It is the diary of their teacher, Mathieu, and they read it together. In France in 1949, Clément Mathieu, who in his own words has failed at everything else, arrives at the gates of Fond de l'Etang , a boarding school for "difficult" boys. At the gate he sees a young child, Pépinot, who is waiting for Saturday, which is when his father is supposed to come for him. Pépinot had been told that his parents were killed years previously in the Second World War, but, strangely, always believed that his father would come back on a Saturday. In his first week at the school, Mathieu discovers the boys being ruthlessly punished by the headmaster Rachin. Mathieu attempts to use humour and kindness to win them over. 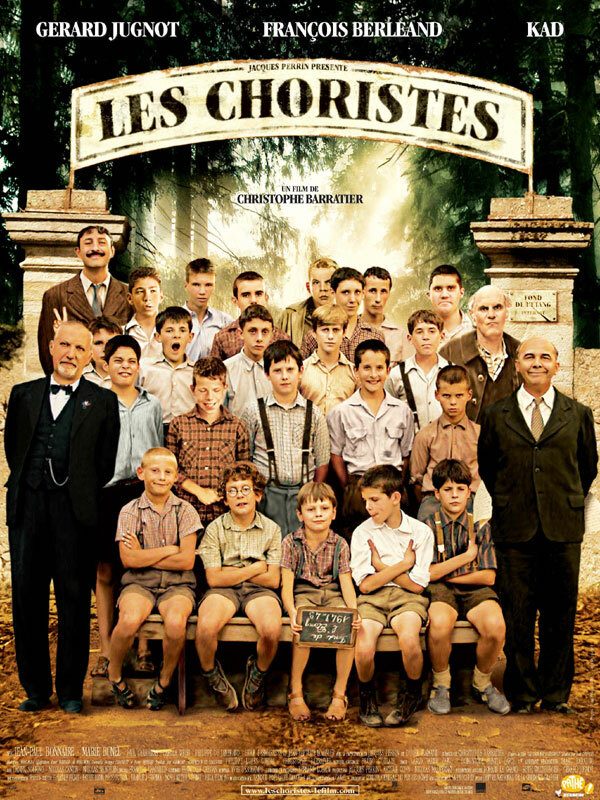 When a booby trap set by one of the boys, a troublemaker named Le Querrec, injures the school's elderly caretaker, Mathieu keeps the boy's identity from the headmaster, while encouraging the boy to nurse the caretaker during his recovery. On discovering the boys singing rude songs about him behind his back one night, Mathieu, who is a musician and composer, forms a plan - he will teach them to sing, and form a choir. As he groups the boys into soprano, alto etc., one student, Morhange, refused to sing. He caught Morhange singing to himself one day and discovers that Morhange has a wonderful singing voice. Mathieu awards him solo parts on the condition that he behave. One day, Morhange's mother Violette arrives at the school. When Mathieu goes down to explain that Morhange cannot be visited because he has been locked up as a punishment after writing rude notes about the headmaster, he finds himself sorry for, and attracted to, the boy's beleaguered mother, and instead tells her that Morhange is at the dentist. Meanwhile, a cruel "perverted" boy named Mondain has arrived at the school, and begins causing trouble - bullying and extorting money from the other boys, smoking in class, and generally rebelling. After stealing a watch, he is locked up for 2 weeks as punishment. Mathieu notices that the school is taking a turn for the better: The choir is improving rapidly with Morhange as its lead soloist, the children are happier, the faculty less stiff, and even Rachin begins to loosen up, playing with the boys and practising flying a paper airplane. Mondain is eventually released from confinement and promptly runs away from the school. At the same time, all of the school's money disappears. The headmaster beats Mondain, who attempts to strangle Rachin. Rachin hands him over to the police, despite not knowing the location of the stolen money. At the same time, he hears the children singing vulgar songs about him. Furious, Rachin disbands the group. They go "underground", practicing at night. It is soon revealed that another boy, Corbin, stole the money that Mondain was accused of taking. Despite this, Rachin refuses to accept Mondain back at the school. Mathieu is upset at this injustice—besides, Mondain had been his only baritone. Mathieu continues to meet Morhange's mother, to share his plans to help her son win a scholarship to the music conservatory. His attraction to the mother is obvious to the audience, but not to her. One day she blithely informs him that he has brought her good luck, as she has met an engineer whom she hopes to marry. Rachin discovers that the school's main sponsor, the Countess, has found out about the choir and decides to claim it as his own idea. The choir performs to the Countess and others, with Morhange enchanting the audience with his solo. 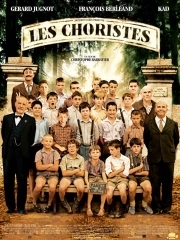 As Rachin goes to accept an award from the board for "rescuing" the boys and reforming them, Mathieu and the school's caretaker rebel by taking the boys into the woods to enjoy the sunshine. While they are out, Mondain returns and sets fire to the roof. Mathieu is fired for breaking the rules, even though he saved the boys' lives. As he leaves, the boys, who are forbidden to say goodbye, throw messages to him on paper planes out of the window. Touched, he waves farewell. Back in the present, the conductor, who has been revealed to be Morhange, finishes reading the diary and recounts what happened afterwards. Morhange won his scholarship to the conservatory, and the headmaster, Rachin, was fired for his brutal discipline. Mathieu, Pépinot relates, continued to give music lessons quietly for the rest of his life. The final scene shows Mathieu waiting for his bus after being fired. As he boards the bus he looks back and finds Pépinot running after him, insisting that he come too. Initially Mathieu refuses, saying that this is not allowed. But he gives in and they board the bus together, and we hear Mathieu narrating, saying that Pépinot had got his dream, for Mathieu and he left on a Saturday. Whole or part of the information contained in this card come from the Wikipedia article "Pan od muzyki", licensed under CC-BY-SA full list of contributors here.